At first, I didn’t think much of this one-off bit of snark. Primarily because I’m not a cosplayer. I understand there’s a huge sense of empowerment that comes from pulling off an effective cosplay. And I appreciate the amount of time and effort that goes into constructing every last detail of a costume. Keeping that in mind, I think it’s fair to examine the offending comment as a potential dude-bro moment, inserted to make non-genre viewers feel more at home with the series. 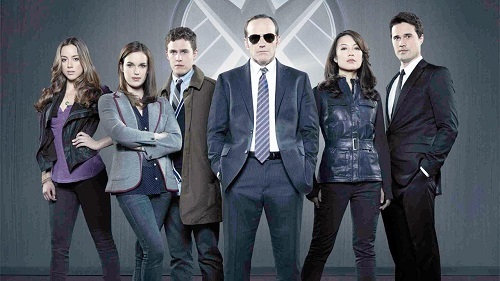 1 – AoS is set in a world where superheroes, supervillians, and aliens are de rigueur, and have been since before the Second World War. 2 – The Earth as presented in the Marvel universe is supposed to be a mirror image of our own, save for those things outlined in point 1. 3 – Superhero poseurs catalyzed the Marvel Civil War. I doubt the Civil War fits into Marvel: Phase 1, as written, but it is canon, and worth mentioning how fans in costumes indirectly led to the death of Captain America, a schism within the Fantastic Four, and Norman Osborne becoming one of the most powerful men on Earth. 4 – SHIELD agents, the day-to-day analysts, support personnel, and field agents, have little time for super heroes who operate above the law. A SHIELD agent puts the badge and the safety of the planet before individual actions; superheroes, by and large, do not. When we start adding up these facts, it makes sense that a SHIELD agent would have little consideration for a cosplayer. If a person wants to feel empowered in the Marvel Universe, in turn defending the planet from Skurlls, Kree, and everything in between, they have the option to try and join SHIELD. They can put on the badge and stand with the team that does much of the heavy lifting but gets none of the glory, compared to the likes of the Avengers and their action figures. Cosplaying in the Marvel universe would by definition be faster to cross a thin line into unhealthy obsession. Tony Stark, for example, is a real person in the Marvel universe; just as Steve Jobs was a real person in ours. The idea of people hanging out in front of Stark Tower dressed like Iron Man would be just as bizarre to a SHIELD agent as an army of people mobbing apple HQ in matching black turtleneck sweaters would be to us. We would ask, “What is wrong with that person? Don’t they have anything better to do with their time?” So to would anybody in the Marvel universe vis-a-vis cosplay. The work-a-day SHIELD operative should quite rightly see a cosplayer as something that is unhealthy, obsessive, and childish within the context of the Marvel universe. Moreover, simply by showing up in public the cosplayer reminds the SHIELD agent of their limitations as a normal human. 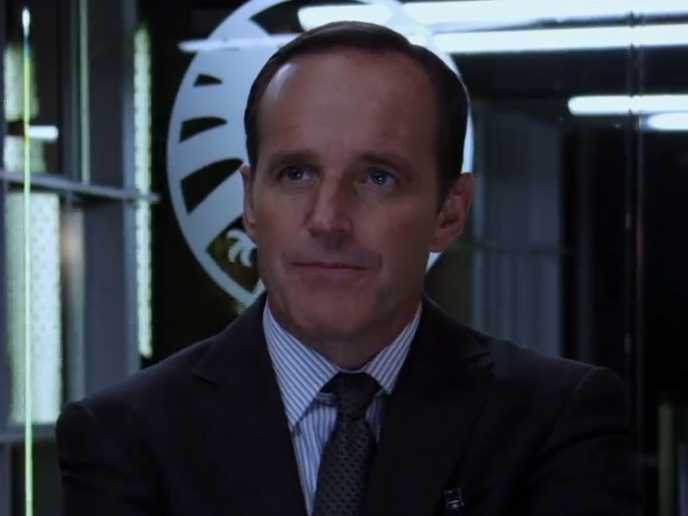 The cosplayer implicitly elevates the superhero above mortal men and women, and in turn makes an explicit statement that they would rather drool in admiration over exceptional individuals instead of taking personal ownership over the mundane, but necessary, duties of defending the Earth – a la Coulson – that comes with a SHIELD badge. The dialogue was on point. It was not an attack on the fans or their hobbies. That said, I think it is fair to say that the series is now on my radar for future violations wherein it is actively laughing at the audience. The TV show making fun of cosplayers is only an extension of what people do here in real life. I have heard people laughing at us because of what we like to do. Granted we are a bit nerdy and wear it on our shoulders a bit but we do our cosplay because we love the character or game that we have played. It is nothing new that we get made fun of so I am used to it but to pick on a show for doing what we do in real life is kind of stupid. If you enjoy the hobby, then it should not bother you what others think of what you do.